If you follow this blog, Agile application in industries other than software development is nothing new. However, while I often discuss on how to apply the methods in various situations, i have not before actually shown you how it look s in real life. 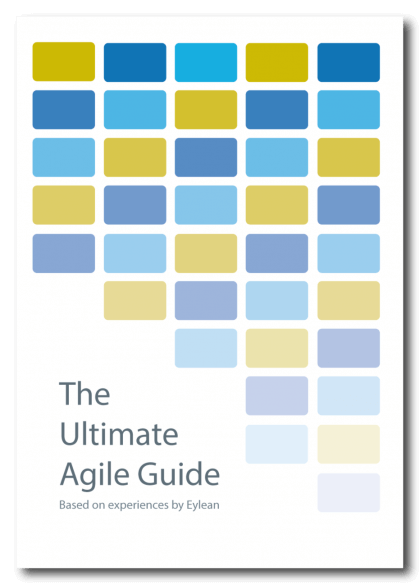 Agile is beautiful in the sense that it can literally take any form as long as it remains true to the key values. But when you are just starting out with the method it may be difficult to go beyond the traditional 3 columns of To Do, Doing and Done. In order to inspire and get your own creativity going, here are 5 Agile boards used in traditional departments outside software development. No good company functions without its employees and it all starts with HR. Taking a web form, this Agile board example comes from Jennifer at TranspireLife. Here, every pizza slice represents a different job position and each of the lines stand for a step in the hiring process. Once there is a vacancy, candidate cards are added to the specific part of the web and moved towards the center as they pass through interviews and other steps. Procurement processes are important but can get confusing easily. Especially when there are multiple projects and people involved. That is why this procurement team worked out a system of their own. Using the basic idea of Agile, they have listed all the ongoing projects on the left of the board. Arranging them according to the responsible team member and limiting each team members WIP to 7. The columns on this board represent weeks and help track the duration of each project. This is done using Lego – the color representing procurement stage and the size representing estimated duration. Each week the Lego is moved forward and once that stage is done, the final duration is written on the brick and moved back to week one stacking the next stage Lego on top of it. This way keeping track of expected vs. real time spent and visually tracking all the projects. This next Lego board from Vitamins brings us to the design department. Here the board takes on a more visual approach resembling a calendar. Rows represent months and columns are dedicated to days. Each project is given a different color and the sub-rows in each moth are assigned to a specific team member. Due to the specificity of the design department the tasks do not need to be as detailed in the board. Instead it is more important to know what the team is working on and which projects are the focus at any given moment. While it is difficult to adapt Scrum in various departments, with mixed functionalities the task becomes even more challenging. That is exactly the case with this board from MetaGeek where Finances, Operations and HR are all one team. Due to the complex processes, the team decided to stick with the basics. A physical board and 3 clear columns that allow tracking progress and who is working on what. As a result, the teams claim they have started collaborating more and now see how their responsibilities relate clearly. Lastly, no company is complete without an executive office and analyzing each teams board to understand the overall progress is not something they want to spend time on. This team has found a solution for that – an epic arc, an additional lane that represents on how far the team has advanced. Once the team starts working on the epic, they clarify tasks and add them to the backlog. Tasks are color coordinated with the epic and move through the board as usual. Instead of staying in the backlog, the epic is moved along the arc. Thats is comprised of the traditional project stages like planing, in progress and done. This way giving both the team and the management the information they need.